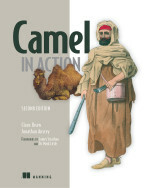 I just wanted to capture a blog with the news that the Camel in Action 2nd edition book, first 19 chapters and 2 appendixes (the content for the print book) now has passed the 1st layout phase. I took a screendump of the last page of chapter 19, which has the page count of 822. 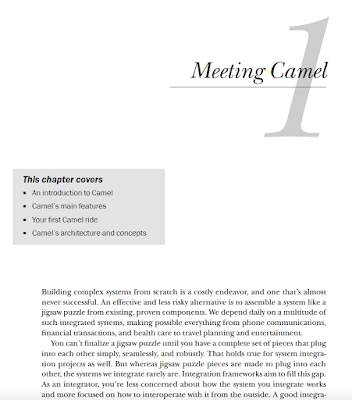 That means you get 822 pages of extensive details about Apache Camel in a single book. 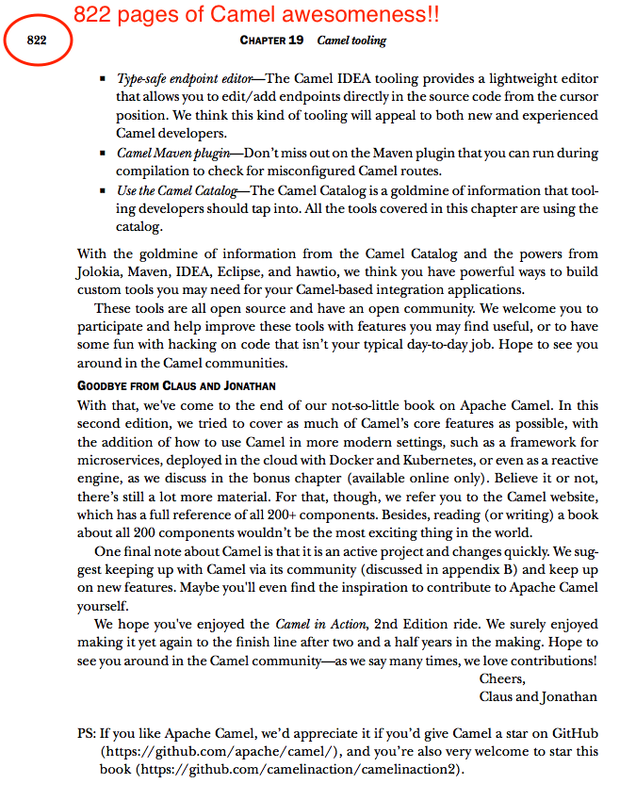 At this moment Jonathan and myself are doing our author reviews on every single page of the those 822 pages to ensure code formatting, figures, technical errors, adding minor TIPs about upcoming/very latest Camel change, updating to Camel 2.20.1 release, updating screenshots in high-res resolution etc. All together to make sure you get the latest information in your hands, and that we have done our best all the way. I currently need to review chapter 18, 19 and 1 which is the outstanding, then I have read every single chapter from cover-to-cover for the N'th million time. 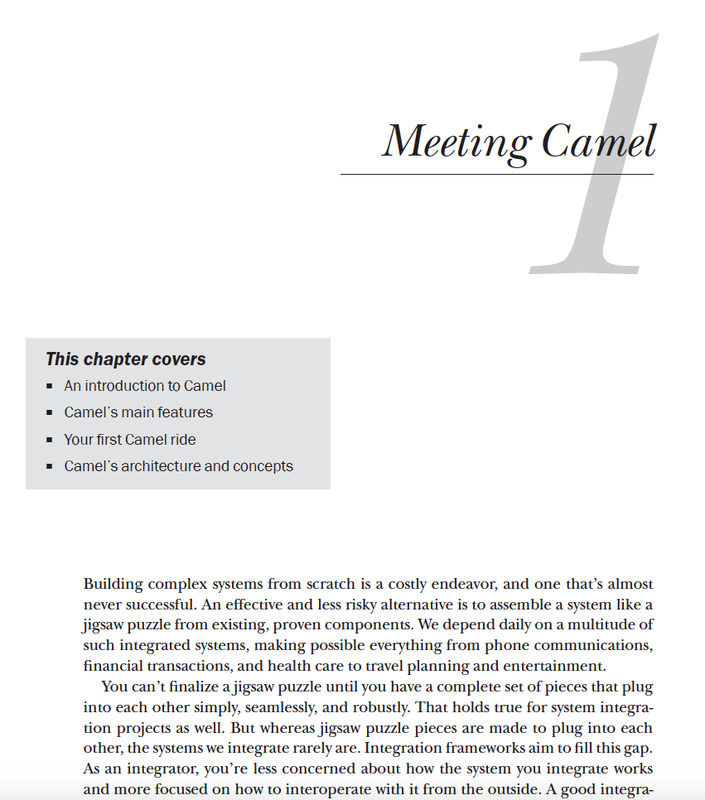 There is more content as we have 2 bonus chapters that will follow layout phase as well and made freely available on the book's website when the book is finished. 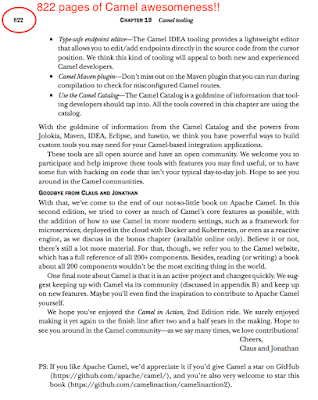 Also we appreciate if you consider following the advice that we put at the end of the last page (see screenshot) on chapter 19.